The former co-operation / initiative Musical Moves - once founded by me in April 2007 - is closed. Since it is my brand, I am still using the name Musical Moves going on, working as a freelance musician and diplom audio engineer. My range of services in the field of music extends to: production, recording, editing, mixing and mastering. I do produce music for: websites, adverts, animés, ringtones, sound design, corporate audio design and film. Beside of this I love to do stage designs and am working as an assistant director and stage manager at theatres. Further information about me - including contact info - can be gleaned by referring to the CONTACT page. You have the task - I'll find the solution. Music has become our constant companion and where would we be without T.V. , Film and Advertising or the unbelievable possibilities that our modern Computer / Digital World offers. Multimedia applications are here to stay, that is an uncontestable fact. I combine practical and technical knowledge in the field of Music, Audio Engineering and Design - if nessecary - with a comprehensive network of specialists giving me the capability and competence to solve a multitude of tasks for my clients. Please take a look at my Reference page for examples of completed projects exploiting the themes of Music, Audio Engineering and such. For detailed information such as offers, prices etc., please, contact me via CONTACT page. "Credo" is a solopiece produced and directed by Justus Schwerdtfeger. Katja Keßler, the actress, wonderfully plays that role by showing all the facettes it offers. It is my pleasure to be the prompter in this piece. There will be seen 2 more plays of "Credo" on November, 1st and 7th. Also, this year I was working as Diplom Audio Engineer at the stages of the "Tag der Musik". Where? At the "Gerhard-Hauptmann-Platz". It was exciting. I had fun. Thanks to the great team! On Thursday, the premiere of "Rigoletto" took place. It was a completely new and absolutely successful staging. In this production I worked as an assistant director, props and sound engineer. I am happy to look back on an exciting, varied time. Thanks to all contributors! Today was the first time I worked as a qualified audio engineer on the "Tag der Musik" on stage at the "Rathausmarkt"! Not only I, but also thousands of spectators had a lot of fun at the colourful program ... Thanks to all participants! Musical Moves ®, the co-operation which I founded in 2007, is closed. Since Musical Moves ® is my brand, I still use it and, am now working alone as a freelance audio engineer diploma. I'm also active working at theatres as assistant director, assistant stage designer and stage manager. Details of my services can be found on the page SERVICES. Long scheduled, finally performed! The relaunch of our Homepage in a newly fresh design with our Merchandise Store embedded into the site is done. Please, feel free to visit our Store and find your favourite outfit or accessories. Please, notice that smaller portions of the site are still under construction. Please, come along in and find your favourite T-Shirt, bag or accessory in my Merchandise Store. Dresscode: Casual Friday. Subject: music! I do offer a wide range of services. All projects are unique. Thats why I don't give price information on this site. If you have a task just give me a ring or send an e-mail to: Cornelia Krause . I will support you and help you reach your goal! My range of services in the field of music extends to: production, recording, edit and mix. I produce sound for: Websites, Adverts, Animés, ringtones, sound design, Corporate Audio Design and Film. As a qualified Diplom Audio Engineer I am working on and around stages. You can engage me as stage manager, audio engineer or stage hand. I am a very versatile, gifted person and have for years worked on and off at the theatre. With my affinity for music and theatre, and the gift to combine my artistic, technical, commercial and organizational skills together, I qualify as an assistant director, facilities assistant, assistant stage designer, stage manager, and of course as a sound engineer. I love music and the atmosphere of the theatre and am looking forward to hopefully many more exciting productions. I am working as freelancer as well as in full-time positions. If you come across any questions or concerns related to this website, please, feel free to contact me as needed. 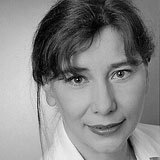 Responsible for the website according to § § 8 and 6MDStV TDG is Cornelia Krause. External Links: In a judgment dated 12th May 1998, the Hamburg Regional Court (LGH) has decided that one has to answer by placing a link on the contents of the linked page if applicable. This, according to the LGH, be prevented by distancing oneself from these contents. Therefore, I point out that I am not responsible for the content of all at musical-moves.de and musical-moves.com linked websites. Please keep in mind that I have no influence on the design and content of linked pages. The operators of these sites act on their own responsibility and are subject to applicable state law. Please, take a look at some examples of completed projects. "Tag der Musik" Hamburg and "Altonale"
In the summer of 2011 as well as in 2013 I have been part of "Tag der Musik" and "Altonale" in Hamburg working as audio engineer and stage manager on and around the stages. What an exciting event! We set up the stages properly and so everything worked out best. I am still happy about the positive feedback I received from both - audience and presenter. Thanks! I had a great time working with a great team. Starting in June, 2011 I have been working in a small, but, pretty successfull opera - at Opernloft Hamburg. For me it has been an exciting and busy time working as assistant director, propman and sound engineer when we staged the piece "Rigoletto". I love to look back at this wonderful time and the opening night on Septembre 08th. We all succeeded. Thanks to everyone who has been involved in this production! Musical Moves colour your world! With the new slogan for our initiative, created by me, I decided to relaunch our Website. A newly and fresh design and our Merchandise Store embedded, it simply looks great. The Graphic - Showcase will follow shortly. With the release of our Merchandise Store Musical Moves ® Virtual Merchant our website has been redesigned as well. Take our logo, this site and the styles added to our shop as an example of my work in the field of graphic design and web design. Musical Moves ® styles & Logos - a brand of Cornelia Krause. The song Getting Back was produced especially to play along our website. Enjoy the instrumental version. The MP3 Player visible in the head of this site can be ordered in various styles - song included - via e-mail. Please ask for actual prices. Finally. The CD, containing the Sound Design I significantly was doing, is available now. Publisher is the Mediabook Verlag. Fresh from the presses comes the Audio CD Transition FX, containing 119 different Sounds in 3 different time lenghts; that's 357 Sound FX's to potentially add aural sparkle to your production! Video editing programmes offer dozens or hundreds of Wipes, Dissolves and DVE's (Fades, Blends, digital FX's) which are effective as enhancement devices when, seldom and sparingly used. Bearing in mind that one should avoid overkill these FX's can potentially invigorate a production dramatically when used. One possibility to use these FX's, is to accent scenes thereby increasing the expressiveness and adding aural excitement, as it has become common, accepted practice in Advertising and Action-Films. The Transition FX's are not the usual ringing, Hup! or Big City Noise but specially created sounds, digitally mixed by me - a Sound Engineer. They perfectly fit in TV- and Industrial-Film- Productions, and have a lot more to offer than the wuuuuuusch, pftttt, or pings that adorn most TV programmes. The Sound FX's are Gema free and can be used for commercial purposes in Film, Video, TV and Multimedia Productions as well as Theatre and Music Studios. They are available for Mac and PC. Sweet Fanny Adams are a young, ambitious Rock Band of four talented musicians who can be seen "kickin it out" on the stages in and around their hometown, Hamburg. The Demo Song Break Free was produced, edited and mixed by Connie Krause in May 2006. From fall 2005 to the summer of 2006 I have been in the studio doing music productions with Niall and his band. Big2Up is a Project between multi-national musicians based in Hamburg, who's focus is on "groove" oriented Songs with intelligent Lyrics that move the body and soul. Feel free to get in touch with Niall to order the CD. Then you can judge for yourself the quality of the music from this talented bunch. One special month full of surprices for all guests visiting the Musical "Dance of the Vampires". Once again, many thanks to the cast and all responsible for this great experience! On the 21st of April 2004, my children and I saw an inimitable Show of the Musical Lion King. What exactly made this representation unique? My ideas became integrated into the Show and made it one-of-a-kind. Many thanks to the high-profile cast and all individuals involved - especially Thomas Borchert - for their support and their amazing faith in me! I had the time of my life! This CD provides exactly 357 sound effects for video transitions in film and multimedia productions. They give productions the last kick and make viewing something special. The effects are ideally suited for cuts, wipes and DVEs. The sounds, all recorded in DDDFormat are present in a total of 119 groups and are stored in three different lengths on the CD. The overview is guaranteed. A PDF file with the description of all effects makes searching easy. Also important: The effects are royalty-free and can therefore be used ideally in each production. This CD is for filmmakers work considerably easier and the investment is already paying off after the first project. I am happy to announce that the release of our Store in English and other languages will follow soon. In case I offer discounts on my products we will release Coupon Codes here. Sorry! No discounts at the moment.